Anniversary rings- Gemstone Rings for Togetherness! Wedding anniversaries are truly considered as special days by every couple. It is one of the long-established traditions to celebrate this beautiful occasion by giving a precious gemstone. From the time when kings and queens used to rule their dynasty, precious metals were used as gifts for wedding anniversaries. Couples used to get wreath of silver once they completed 25 years of their marriage and gold on completing 50 years of their marriage. It was a good gesture to honor couples and their bond of love and togetherness. Following the same tradition, the Victorians made a list of gemstone to match particular stones to certain marriage anniversaries so that all the important dates are celebrated in style and tradition. The gemstones wedding anniversary list was made by putting all the stones in a proper order like more important milestone would be marked with luxurious stones. To celebrate the most important anniversaries, the diamond appears to be on the top of the list. To describe eternal love and to show strength of togetherness and unity there is no better stone than diamond. To honor 60 years of married life, the diamond is again used because it marks its significance. In fact Queen Victoria used diamond to mark 60 years of carrying the throne. The gemstone jewelry chosen for particular anniversaries most of the time has symbolic relevance. Emerald gemstone is used to mark 20th anniversary which shows or you can say represent fidelity in a relationship whereas Ruby is used to mark 40th anniversary which reflects passion, courage and desire. Marriage is a relationship and it should spark keeps marriage alive and make bond with your partner stronger. We have discussed anniversary gemstone guide so that you can celebrate this special event in a style and cherish those happy moments rest of your life. Gold, pearls, sapphire, onyx, tourmaline, garnet, blue topaz, Amethyst, Ruby, Opal, Diamond, Citrine, Jade, turquoise, emerald, silver jubilee, pearls Jubilee, pearl jubilee, diamond jubilee, Sapphire Jubilee, Ruby Jubilee, peridot etc. this list of wedding anniversaries gemstone is going to help you a lot. Wedding anniversaries rings are the best way to show love for each other over the years, there are so many gift ideas which you can consider for your anniversary. So are you planning for a perfect wedding anniversary party? Take ample time and choose the perfect gift to impress your spouse. 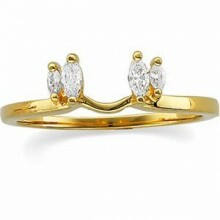 Bringing new ideas and thoughts in to a gift for your significant partner can bring lot of appreciation for you as well. Some people love to gift diamond rings as a anniversary gift whereas some love other gemstones like emerald, topaz, ruby etc. but all these anniversaries rings not only strengthen any relationship but also give some spice or spark to your marriage. These beautiful rings make the relationship healthy and you start loving each other more. Sometimes some stones are so lucky for the couple that it brings success and prosperity in a couple’s life and they start growing personally and professionally too. There are different types of designer wedding bands which you can pick such as hammered design bands, braided wedding bands, paisley bands and many other designs like Celtic wedding band. 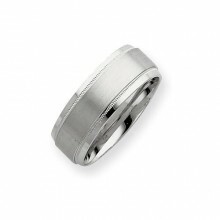 Different people have different choices and when it comes to choosing type of wedding band your personal choice is what matters. There is nothing practical or technical in choosing design wedding apart from deciding what kind of design you prefer. One and only practical consideration which you want to make while choosing wedding bands designs is the understanding that fashion or trends fades away and you must be looking for a design that stays forever. The second consideration is deciding whether you will wear ring everyday and how you can make your ring to sustain safely. It usually depends on the kind of work, hobbies and career you have. 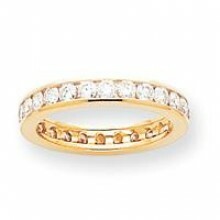 Eternity rings are great pieces of jewelry that depicts true love. They come in finger ring form or band. As the name says this ornament is not like any ordinary ornament. They have special feelings behind them. 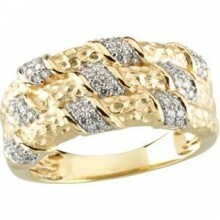 Eternity rings are evergreen and forever. Eternity rings are made from gold or platinum and is encrusted with some precious stones like diamond that encircle the beautiful ring all way round. This stands for eternal circle of true love and life. They are used often as wedding bands. These rings are solid that they form continuous circle of diamonds or other gemstones. For many people it is like a custom to celebrate first anniversary with an eternity ring made up of diamond and usually it is worn between the wedding and engagement ring. Even if there is no celebration or occasion then also you can gift eternity ring to your beloved to show your love and tell her that she is so special in your life and I am sure she will fall in love with you all over again. The use of diamond shows eternity. It is said that diamonds are forever and remains forever. This beautiful gemstone symbolizes never ending love, closeness and togetherness which couples share in any relationship. 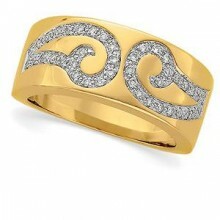 There are jewelers who have got good range of rings created over time. To buy eternity rings always go to some expert source. Trust me they are custom engineered and are have got the finest craftsmanship. When you choose size of your wrist or finger and order the custom to make a ring or band. Immediately your jeweler will calculate number of diamond stones needed to make a ring for you. Buying a classic piece of jewelry always need some homework, as these rings reflects your eternal love and care for your loved one. Thus, make sure that you get the best place to buy jewelry as these are something to be kept always and share the moments for the lifetime. Thus, buy a jewelry that reflects you love, care and dedication towards your special and make them feel special with some stunning jewelry. Cheers!